I have been in Social Marketing field for 3+ years. I know what doesn't work and I know where to look for the correct outcome. Google plus ,linkedin ,tumblr is largest growing social network. 100% real and active members. With most of them being based in USA. Showcase your product in pictures. 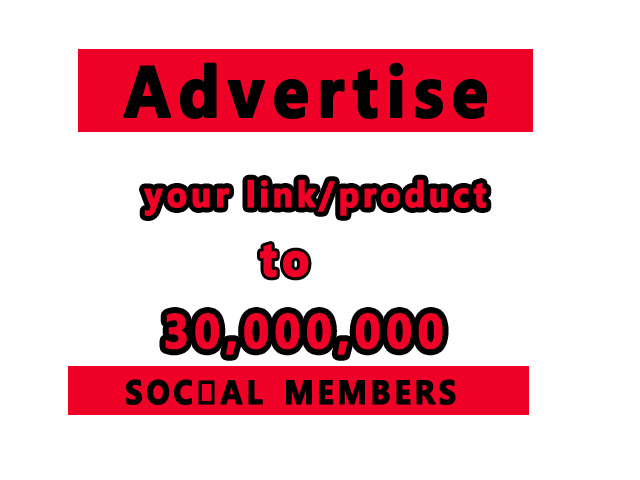 advertise your link to 30 millions social members is ranked 5 out of 5. Based on 8 user reviews.